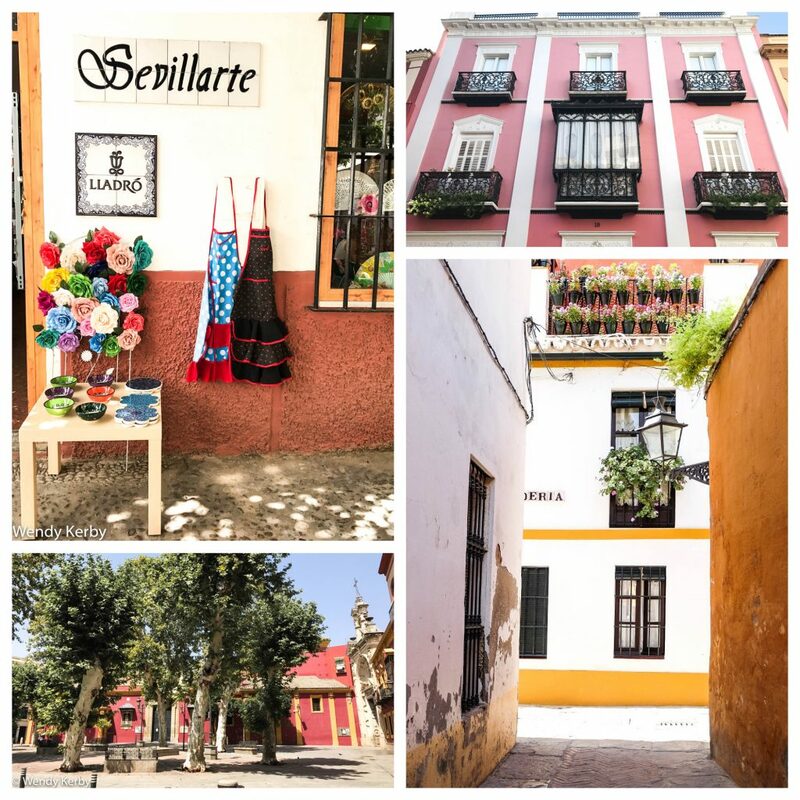 If you are going to be visiting Spain, then make sure that you put Seville on your list. It’s a wonderful city that is steeped in tradition and old world charm. 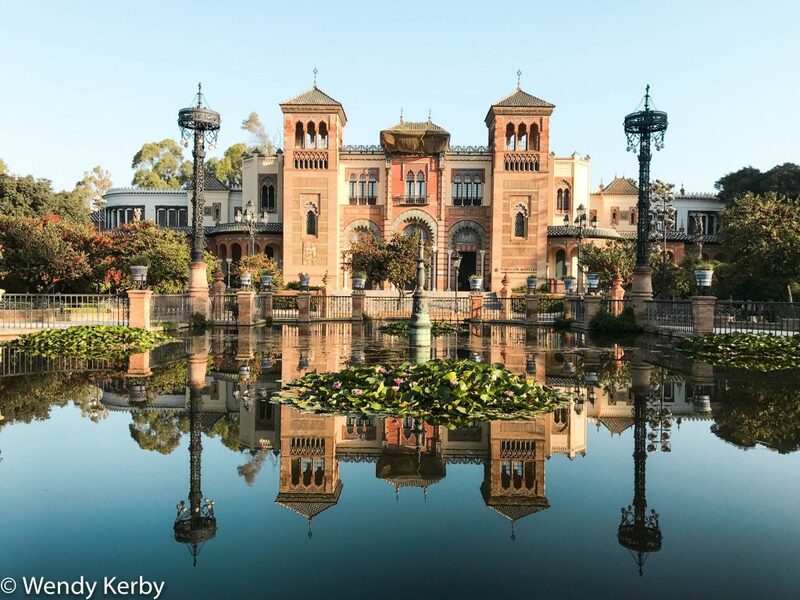 If your idea of Spain is flamenco dancing, bull fights, tapas and al fresco dining then Seville (or Sevilla to the locals) is where you will find it. 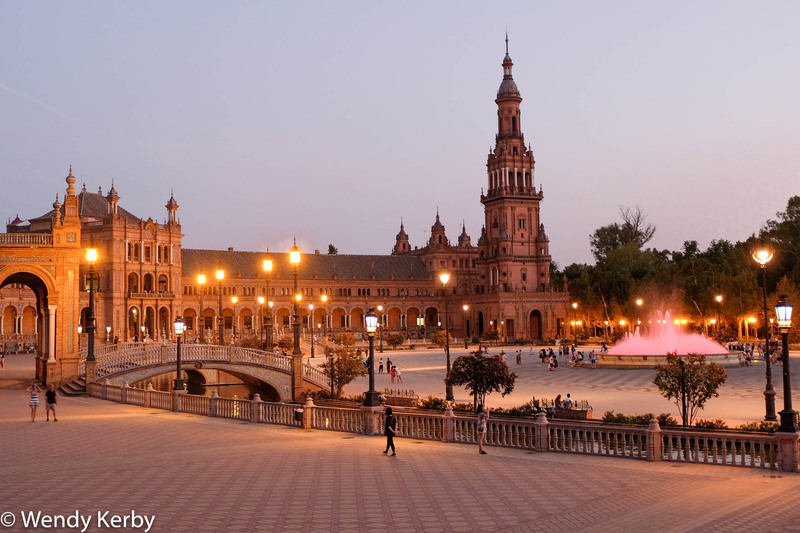 There are many things to do in Seville and most can be done within a few days. Seville is also the hottest metropolitan city in Western Europe, with regular summer temperatures of 35 degrees. The winters can be quite mild, and it’s a time when more tourists are more likely to visit due to the cooler weather. 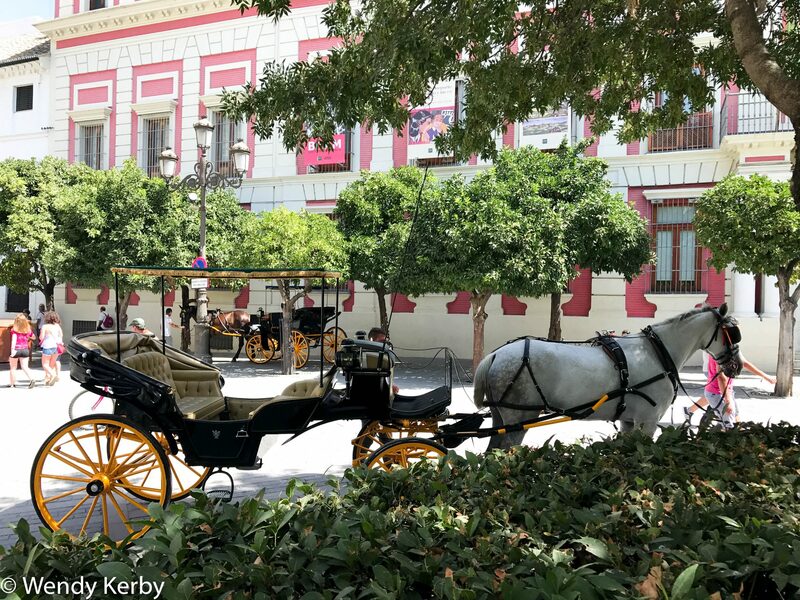 When I arrived in Seville, the first thing that struck me was the heat. It was late August and the temperatures were still quite high, sitting around the 40 degree mark. Whilst it is hot in August, this particular week was exceptionally hot. Typically, June, July and August are months tourists tend to avoid for this reason. But alas, not this tourist! I found this an advantage as many of the tourist places were far less crowded, especially in the afternoons. You will also find that shops and many restaurants will have a siesta in the afternoon, making the city seem quiet, almost like an abandoned feel. The nights are milder, which is great for all that outdoor dining and the social frivolity in the evenings. 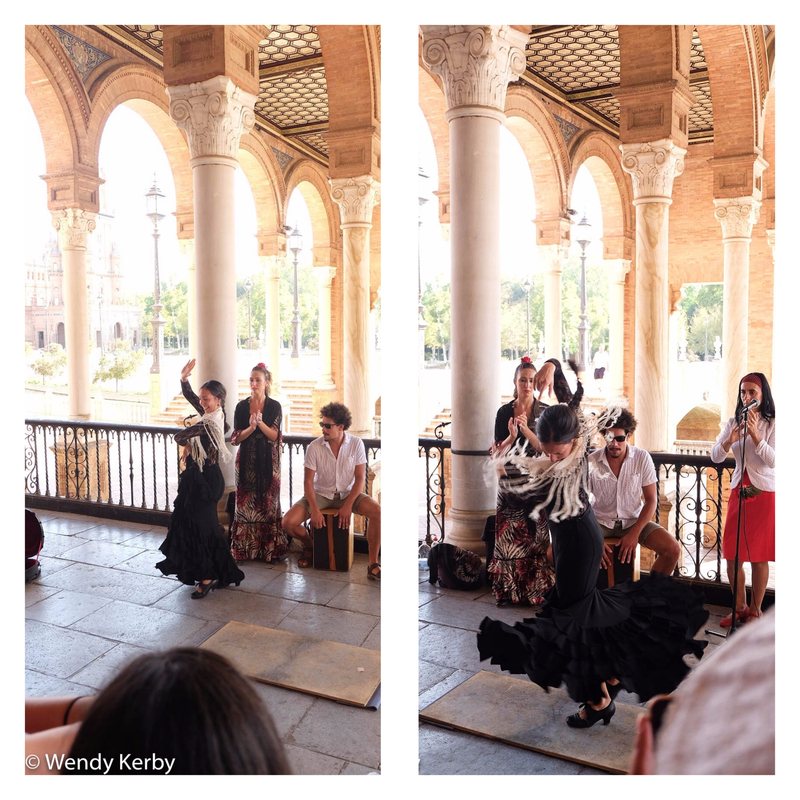 I spent four days in Seville, covering the major tourist places, including a day trip to Cordoba. 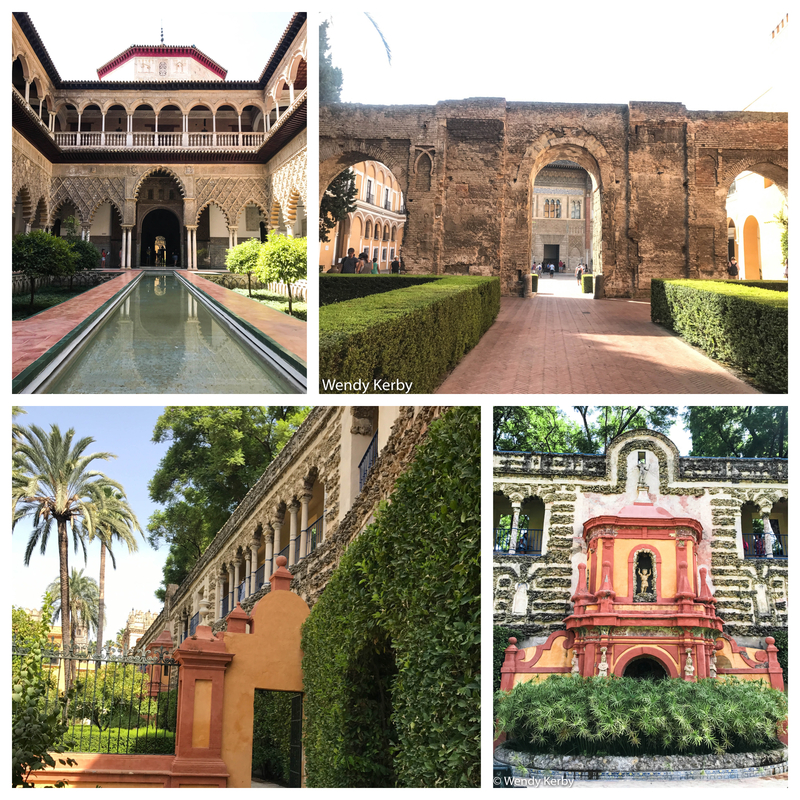 Below I share my itinerary and what you can see and do in Seville over four days. After stepping off the plane, dropping off my luggage at my hotel, I immediately began exploring the Santa Cruz area. Having never visited before, and studying a map, the streets looked quite busy and I wondered how easy it was to navigate. In fact it was super easy and I covered quite a lot of ground on foot close to where I was staying. I stayed at the La Musica and Amadeaus which is in the old part of Seville and a good base to many of the major tourist attractions. The Santa Cruz area is smack bang in the middle of the old town, and is a fascinating maze of charming little streets. The little streets lead into little squares that burst into life with alfresco dining and boutique shops. Seville was originally a walled city with eighteen gates, right up until the 19th century, when the walls were partially demolished. Some parts of the walls can still be seen, along with the four remaining gates. These gates can be found at Puerta de la Macarena, Puerta de Cordoba, Postigo del Aceite and Postigo del Alcazar. 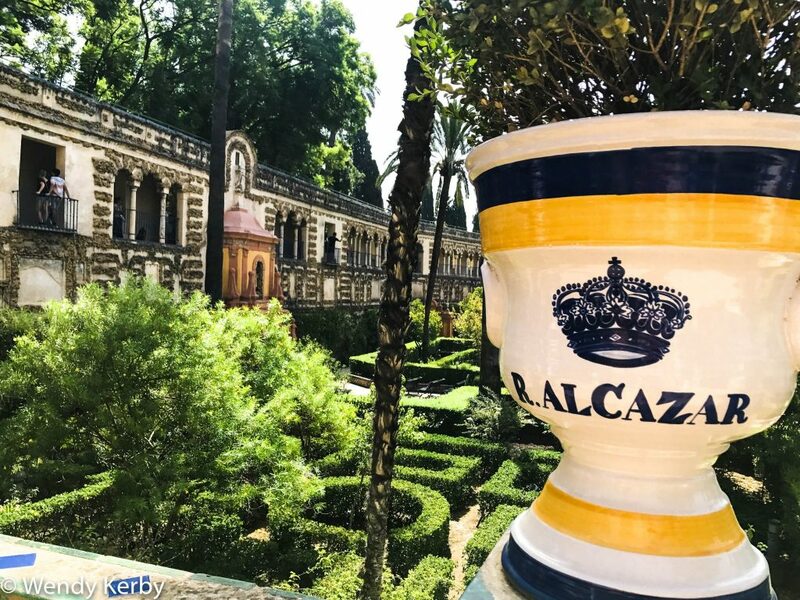 If you take a walk around the area near the Real Alcazar you will find the original walls lining the street Calle Agua. Some parts of this street is shaded, so it’s a nice little walk. After a quick lunch stop, I spent most of the afternoon just wandering through little streets, plazas and admiring the architecture along the way. By 6 pm, I found myself walking towards the magnificent Plaza de Espana. With the sun beating down, there wasn’t a lot of tourists at this place, which suited me as I got some great photos without too many people in my shots. I was also lucky to see a little group putting on a flamenco show, which was fantastic. They were busking, but boy were they good! I didn’t feel the need to go to a show after seeing this. All with the backdrop of the Plaza in the background. You can easily spend quite a fair bit of time at the plaza, wandering about, taking a boat ride in the waterway or admiring the gardens. 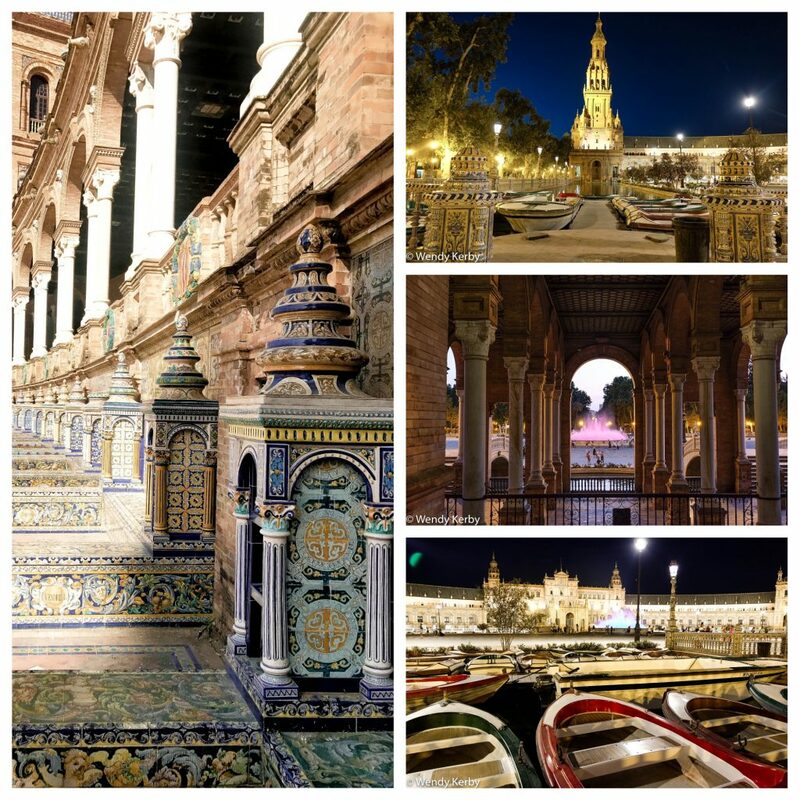 I made two visits to the Plaza de Espana, one during the day and the other time at night. On my second day, I got up early and went for a run along the canal and then through Marie Luisa Park. On my run I discovered the Triana area just across the river. The buildings are colourful and is one of the spots to go to and check out the tapas places. After my run I went in search of a place for healthy breakfast, that’s when I found Milk Away. If you need a healthy breakfast fix then I found this great little place in the old part of town. 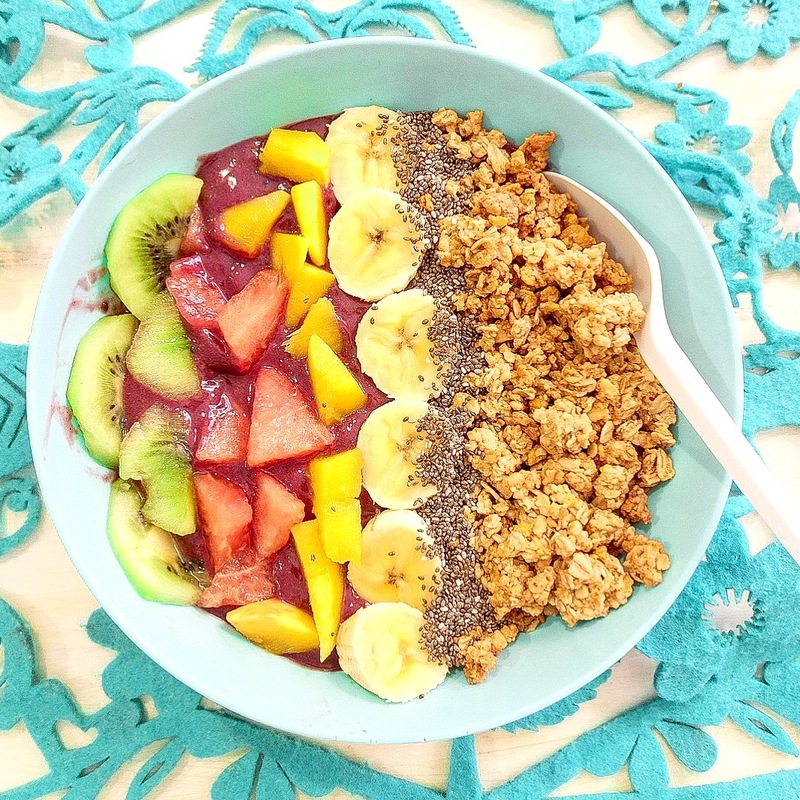 Called Milkaway, it serves the most delicious and healthy smoothies, juices and acai bowls. You can make them up as you like. As I was trying to not to overeat or overindulge, this place set me up for the day, with very filling smoothie bowls. They open at 9 am and close up at 7pm. After Breakfast I headed on foot to the Metropol parasol. A wooden art structure that resembles giant mushrooms. Plaza one (first level) is free to wander about, the second level (rooftop) you will need to pay. The entrance fee is 3 Euro. 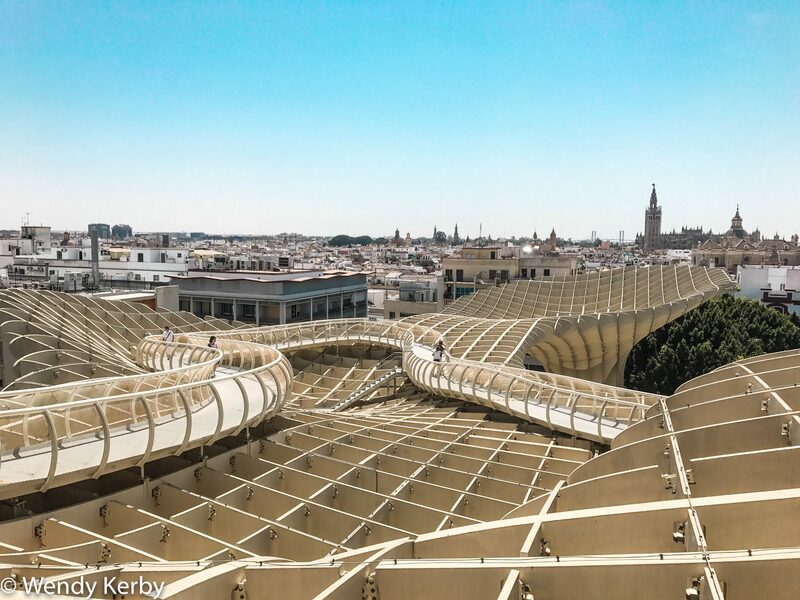 Once at the top, there is a panoramic view over Seville’s roof tops and a little bar/cafe to have a drink. Entrance is down a ramp going under ground level, where the ticket booth and information is located. Whilst in the area, I thought it was not far from a tapas bar that had come highly recommended. 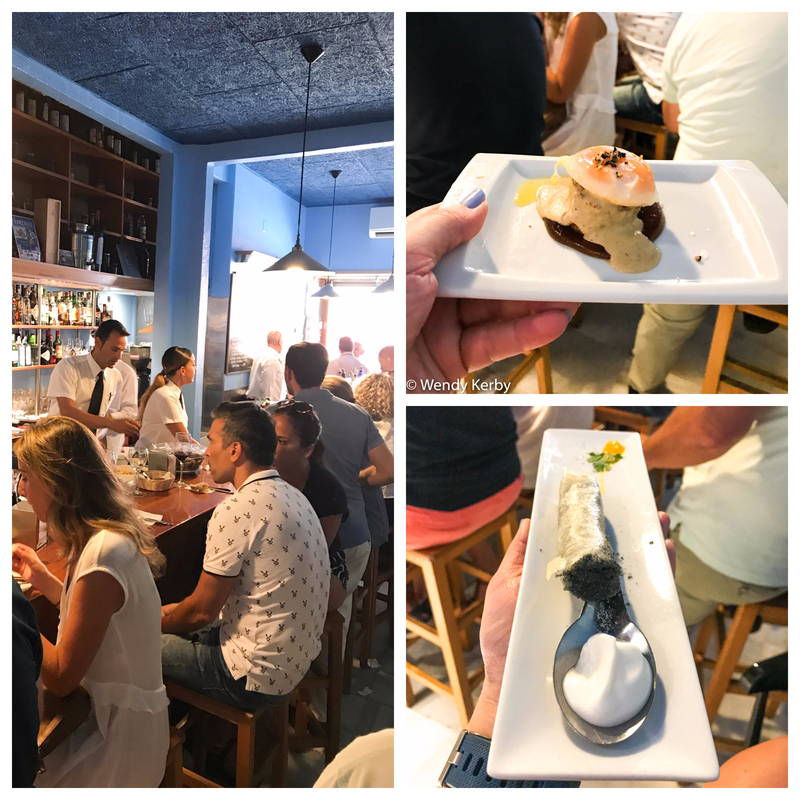 A 15 minute walk over to the San Lorenzo area and I found myself at one of the most highly rated tapas bars in Seville, called Eslava. Whilst I was wandering about, I walked through the area of Feria. Due to the siesta, it looked positively like an abandoned ghost town, all but for a few dodgy characters hanging about, begging for money. 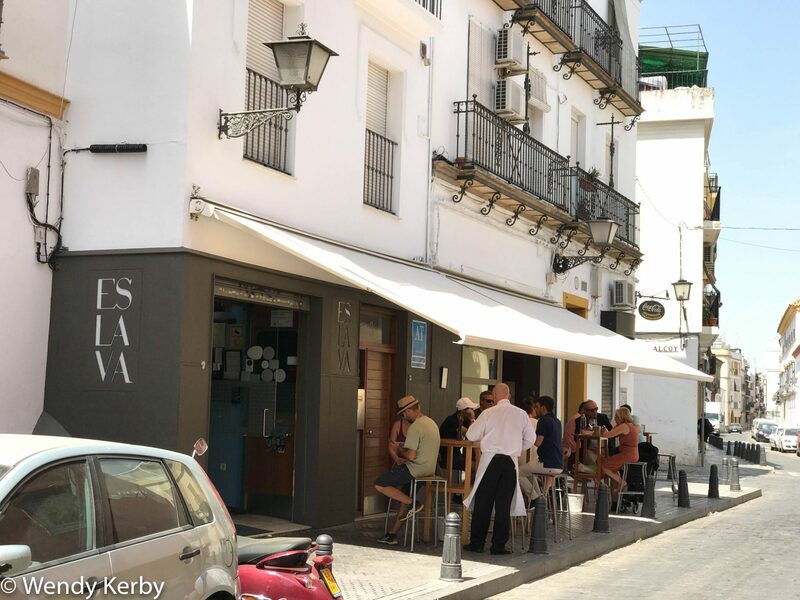 It was the only time I felt a little unsettled in Seville, but I probably wouldn’t have noticed if there were plenty of people about and the shops weren’t all shuttered down. Eventually I found the bar and it was extremely busy. They do their utmost to accommodate you, they will let you wait for a table but in my case as I was on my own, I opted to just sit on a stool with the ledge as my table. The staff were amazing! I watched them get to everyone and honestly if anyone complains about waiting or not getting a table then they are probably just people in general who like to whinge. Now to the food! The food was absolutely amazing. The creativity of the meals are definitely next level tapas. If you are there please try the cigar and the slow cooked egg dishes, they are award winning. This place is not even expensive! The waiters were so friendly, attentive and worked like a well polished team. If you go be prepared to be squashed in if you sit in the bar area. The seated area is a little less so, although still not a big room. You can also have a drink out on the foot path where there are also little seats. I then decided a walk along the canal again on the way back and into the tourist streets once again. 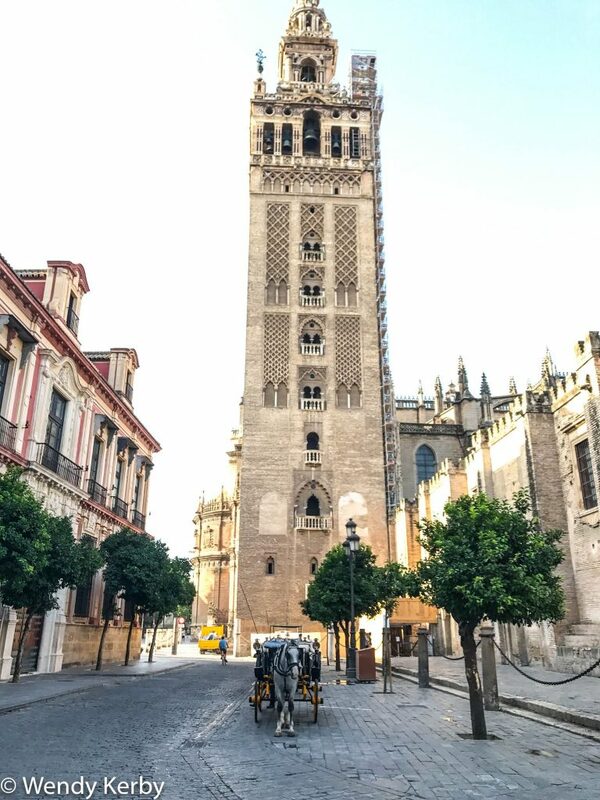 The Giralda clock tower forms part of the Cathedral in the historical part of Seville. Here you will find plenty of tourists milling about the plaza opposite. You can climb the clocktower, (which takes around 30 minutes to reach the top) for a view over Seville. The Cathedral itself is one of the largest gothic Cathedrals in the world and is also contains the tomb of Christopher Columbus. The main shopping area is located in the Casco Antiguo area (not far from the Parasols). Here you will find a number of retail chains and the department store El Corte Ingles. The main shopping strip is along Calle Sierpes, with a number of little side streets that run off it. When you have finished your shopping, you could check out Confiteria La Campana (Cake Shop) for a drink and some cake. The frontage of the shop makes for some pretty photos. I’m going to say it straight up, this palace is absolutely incredible and if you are in Seville, it’s something you should not miss. My favourite part was the beautifully maintained gardens, that was divided up into different sections. The palace itself does not have any furnishings but that really doesn’t take anything from the grandiosity of the place. Throughout there is ornate tiling and in fact you find out a lot about the different tiling styles in certain eras. You could easily spend a few hours here just wandering about. I got there around 10 am and already there was a line up to visit. If you bought tickets online, then you could just walk up and skip the queue. It opens at 9.30. After around 10.30 the queues get longer, especially with tour groups lining up. By mid afternoon the lines have dwindled out due to being the hottest part of the day. Entrance is 9.50 euro for general adult ticket. I bought my ticket on the day. 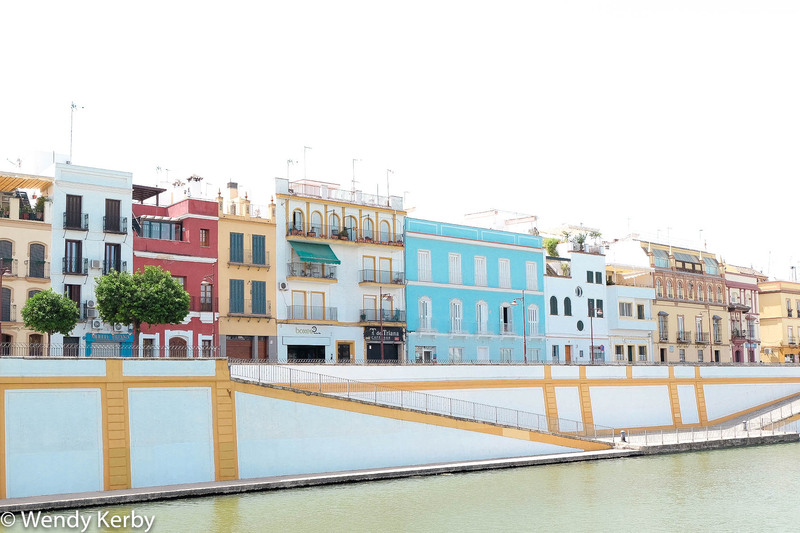 The afternoon had me wandering down to the canal to get some shots of Triana. I decided that taking a river cruise would give me a good up close opportunity to get these shots. The river cruise itself was a pleasant ride along the river but as for seeing any landmarks that they describe in the commentary, you wont see much, as much of it is hidden behind the trees. What you will see is the bridges, Triana, graffiti lined walls on the river bank and the tower. I ended the evening with tapas at La Bartola. The food was excellent with great presentation. The staff were super friendly and once again very cheap. I got 3 tapas plates and a glass of wine for 15 Euro. After dinner, I went back to the Plaza de Espana ( a last minute decision) to get some sunset photos. I arrived just as the light was disappearing, so I managed to get some decent shots. There was still plenty of people about at 10 pm at the plaza. So if you are a solo traveller, then it’s all pretty safe to visit at night. Three days in Seville is plenty to see all the main tourist attractions, so I decided to spend my last day out of town. I caught a train to Cordoba from the Santa Just station. I caught the 10.45 train, arriving at 11.30. I actually walked from Santa Cruz (about 20 minutes) to the station and bought my return ticket that day. It’s a 45 minute journey. Once off the train, I walked into the city through the gardens and then through the central commercial district where I got distracted with some retail purchases. Cordoba is a lovely little town known for it’s little narrow streets, colourful blue pots, the Roman Bridge and a large Mosque. I head back on the train at 7.30 pm. This time I caught the AVANT train, which also took the same amount of time than the AVE and was a lot cheaper. 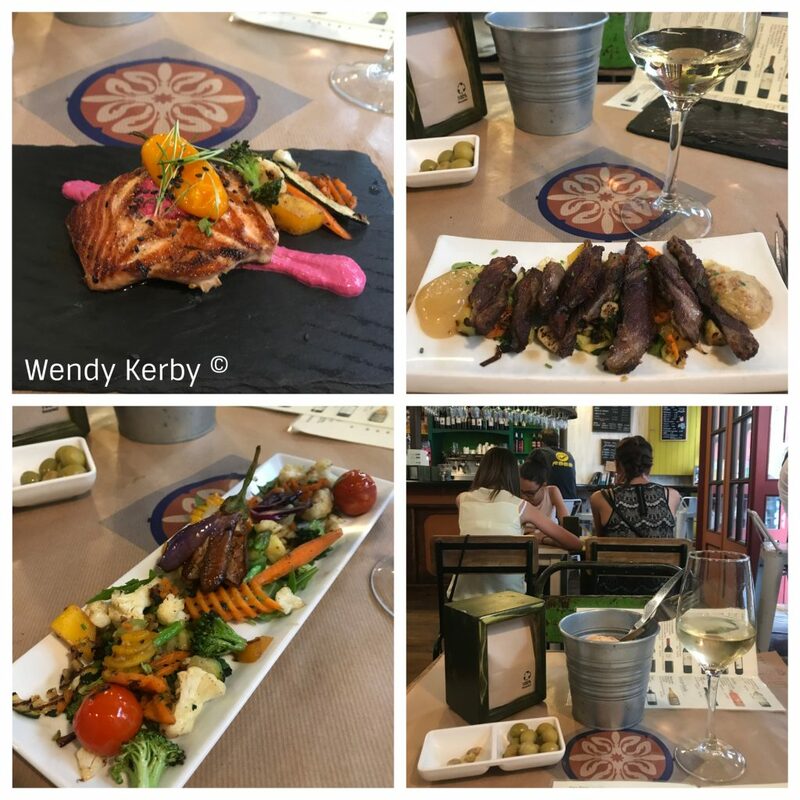 There are a few close options for day trips, Cordoba is 45 minutes by train, Malaga is on the beach and is about a 2 and a half hours away on the AVANT train and Granada being the furtherest at 3 hours away by train. Today I was making my way to Barcelona by train. I booked my ticket in advance as the fast train can get booked out. If you book early enough online, you can get quite a discount on a premium class ticket. If you are travelling alone, or want to sit alone, then you can book a solo seat in premium. These are all “A” seats in the first few coaches. The seats are leather and are a lot wider than the other seats in second class. There are plugs where you can put your adaptors on to charge your devices. There is no free wifi or any wifi on board. These trains all leave precisely on time and you will need to go through a security check point prior to boarding. The journey to Barcelona takes about 5.5 hours. Some pros about train travel over air. Even though the flight might only be 1 hour, you still waste a couple of hours getting to the airport, checking in and waiting on baggage, then transport from the airport to the city. So travelling by plane may only save you a couple of hours. Travelling by train you show up at the train station, get on the train and sit and relax for the next 5.5 hours. You get to enjoy the passing scenery, rather than the space above the clouds. The seats are way more roomier than airline seats with plenty of room to stretch about. When you have been travelling around a bit, sometimes it’s a nice change to sit and relax with a book, write your diary or plan your visit to the next city. It’s kind of a bit of downtime. The train makes stops and picks up passengers at Cordoba, Cuidad Real, Zaragoza and then to Barcelona. Interestingly we passed through Madrid but did not make a scheduled stop. I would suggest that 4-5 days is perfect if you want to combine a couple of day trips as well. Otherwise if you are short on time then I would suggest 2-3 days as a minimum. I stayed at a hotel called Hotel Amadeus and La Musica in the Santa Cruz area. The location of the hotel was absolutely perfect. It was an easy walk to all tourist areas. The rooms were quiet and the bed was super comfy. Most importantly the air-conditioning was brilliant, a split system with refrigeration air-conditioning. 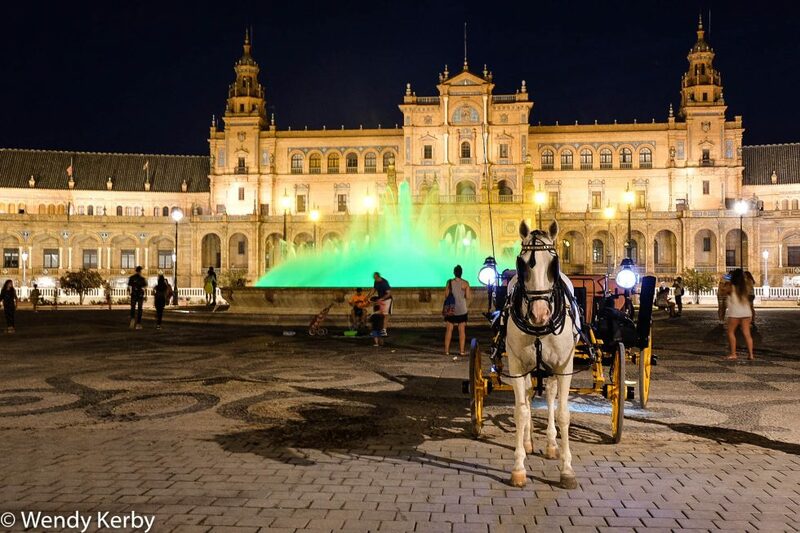 If you are staying in Seville in summer, it’s a necessity, in fact it got quite cold. The rooms were decorated in a traditional style which I thought added to the character and style of the building. The rooms were spotlessly cleaned and were serviced everyday. The character of the hotel is themed with music. Grand pianos, violins amongst other musical instruments and artefacts. Throughout the little maze of rooms you will find some wine in decanters for a late night tipple. They also have 24 hour room service and wifi is totally free for your whole stay. I stayed in the ‘Equestra’ room which had it’s own entrance and the wifi worked very fast. I was able to download photos and videos to my social media without any problems. Staff were kind and spoke English very well. I was there in the mid-late August and even though i loved Seville the beat was unbearable so wouldnt advise august at all! But hey we live to learn, right? Seems like the perfect city break in spring rhough! Awesome post though and great points too ! Thanks so much Stefanie. I totally agree with you about August, it was mighty hot but I coped! I think spring or even winter would be a nice time to visit. I must appreciate the way you have expressed your feelingst hrough your blog! next month we went there and lots of amazing things we did. specially food and their house is quite impressive to attract visitors. Thanks for sharing your experience through this blog post. Thanks for sharing this guide with us. 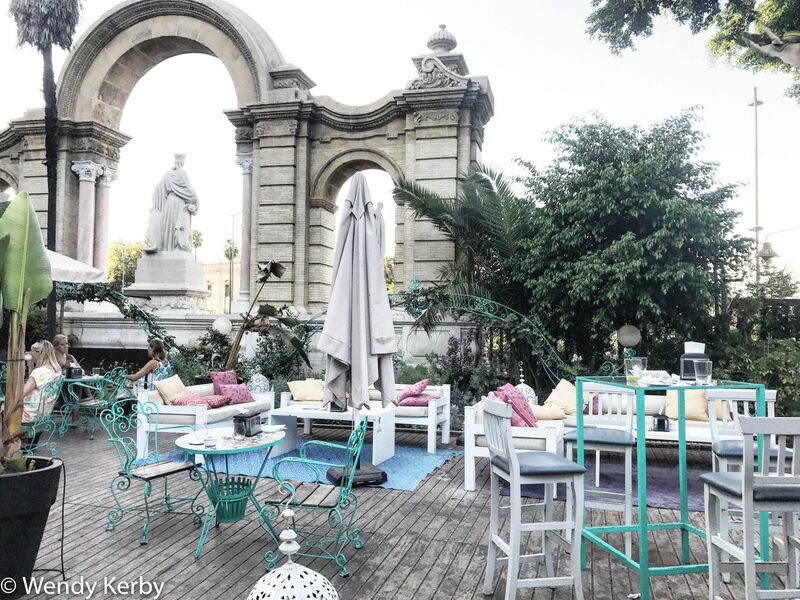 This is a really nice post and i glad to read seville spain travel guide with us. Great post keep sharing.